We were down in Missouri for a Mission’s Conference called Urbana. From time to time, we needed to fill up the black hole in our stomach’s. Because there were 18,000 other people looking for food at the same time in a dead city, it was difficult to find a place to eat without waiting hours and hours. Taking a stroll south of the conference center, we came across this little run-down restaurant. 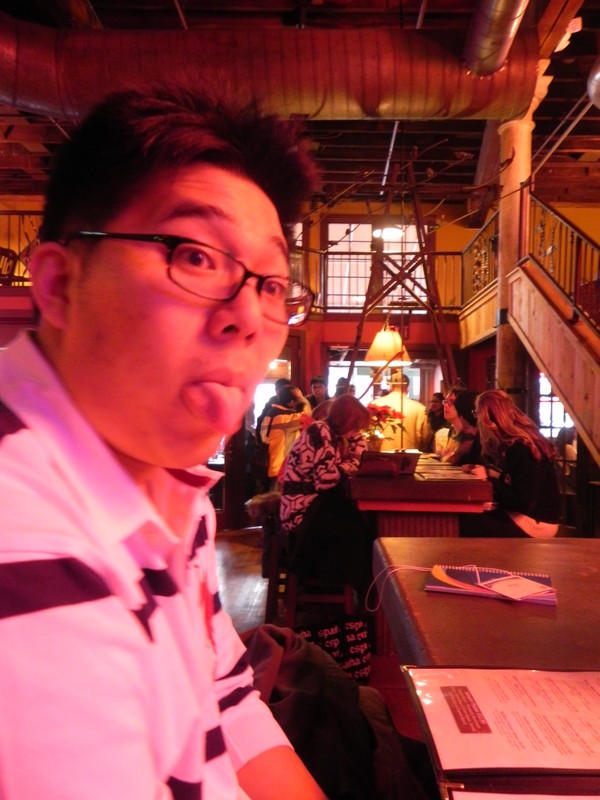 Upon entering the dark lair, we find ourselves in some sort of old, western-looking saloon. Bubba burger, smoked pulled pork, grilled onions, pepperjack cheese, queso, and BBQ sauce $9.95. To be fair, there literally was only one waitress and cook. 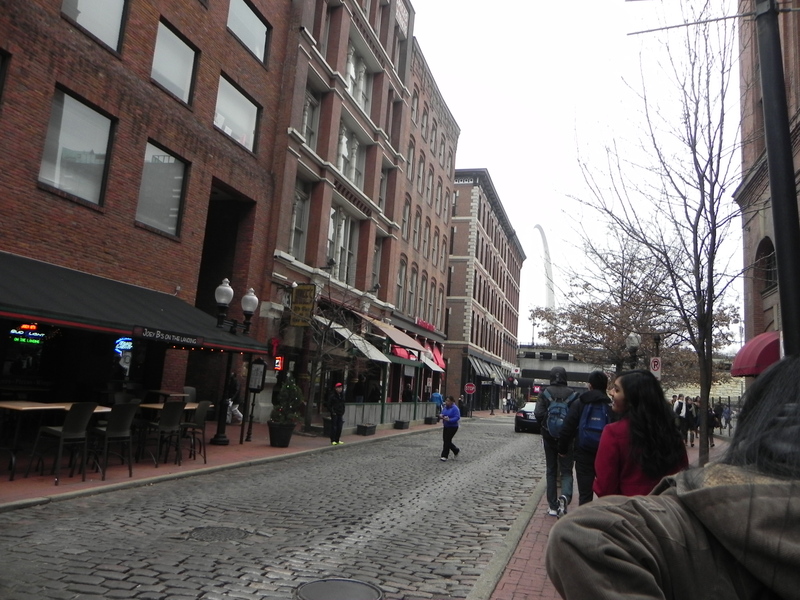 I could see that the waitress was very fluttered and uneasy seeing such a large crowd of people. Even under kind When the cook came out of his kitchen doors, I could have sworn that he muttered the words “Holy S***” under his breath. I guess this place is pretty dead during the winter and that its a summer kind of place. 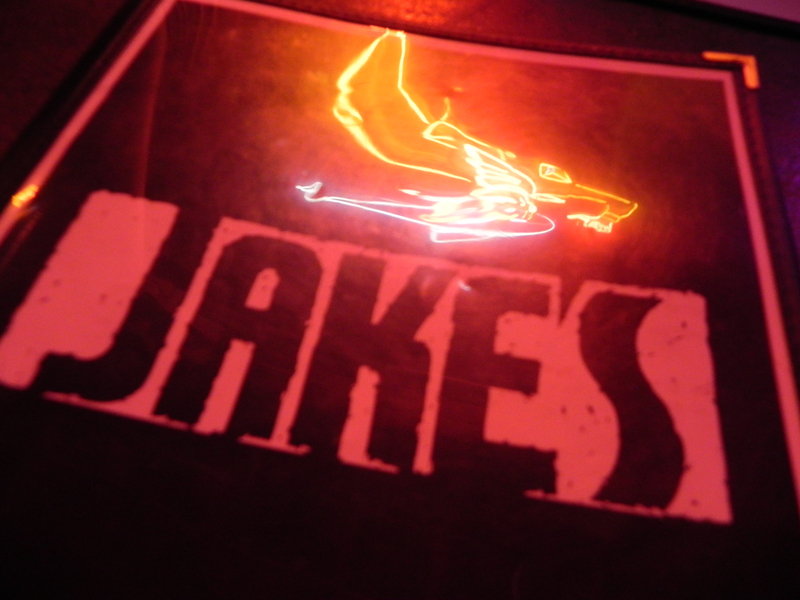 I was hoping for a steak when I came here, but to my surprise, they didn’t serve steak at a place that’s named “Jake’s Steaks.” The water isn’t very pleasing here, but maybe that’s because I’m so used to New York’s tap water. Seeing how their was only one waitress and cook, the wait for our food came out to be around 45 minutes to a hour. I ordered a Bubba Burger, which had beef brisket, pepperjack cheese, grilled onions, and queso, which seemed mouth-watering at the time. The waitress also asked if I wanted potato chips or onion rings. I ordered chips, but upon arrival of the food, I saw onion rings. I don’t blame her, but the management of the restaurant for letting only two people work in a restaurant that can house up to 30 to 40 people. The burger…. was really bland. There was sour taste from the cheese and queso and it didn’t exactly please me. The cheese also dredged over the side of the burger, making it difficult to grasp. The beef brisket was soft and flavorless. I barely even noticed it in my burger. The burger didn’t seem too fresh either. The onion rings were okay. They were your average deep-fried onion rings. Nothing spectacular here. There are other places that are a lot better within the area. It could have just been the wrong timing for this place. Pinky says: 1/5 NO. JUST NO. I am giving this place a pity point just because I am not a local and probably my taste buds are not like theirs…but, I hope the locals don’t think this place is good! I’m giving them a 1 because of the nice lady waitress that was most likely overwhelmed with all of the customers (from our Urbana Conference: which is why we were in Missouri anyway). But seriously, you cannot have one waitress working! No matter what time or day it is! That’s just unfair. However, in addition to being understocked in people-power…they were unfortunately understocked IN FOOD. A restaurant understocked in food?! My original choice was going to be the Califonication. THERE WAS NO GUACAMOLE. Ok, so I order the Swiss mushroom. THERE WAS NO MUSHROOM. 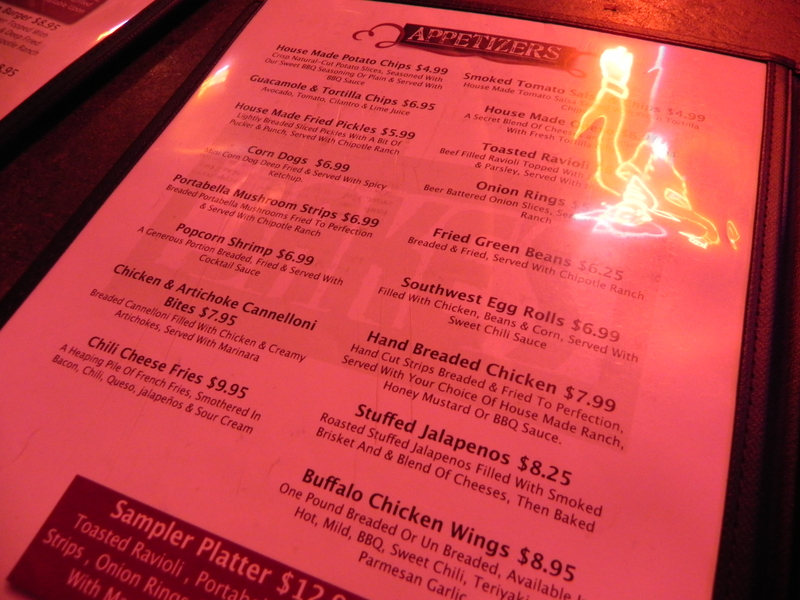 In the end, I had to order the jalapeno burger, which…actually didn’t taste like they had jalapeno in it. Disgraceful. What’s worse than that was that the waitress played me! I am a potato lover…she knew. SHE KNEW IT IN HER HEART (okay i’m a bit dramatic now) but she was telling me that she could get me potato chips as my side. I was a bit confused because she told all my other friends that she only had onion rings left…To my surprise, of course they didn’t have potato chips. She probably got so used to saying potato chips that she offered it to me lol. My heart was so broken that day. I just moped over my badly made burger (it was so dry) and onion rings. The onion kept falling out of the fried part when I bit into it and since it was just heated up (I doubt they make their things fresh) the onion when it fell out, kept burning my chin LOL. What a horrible and awkward experience. Missouri water tastes different….by the way. I’m a New Yorker at heart. Anyway, why would you go to such a place with this kind of commercial…NO, PLEASE NO! 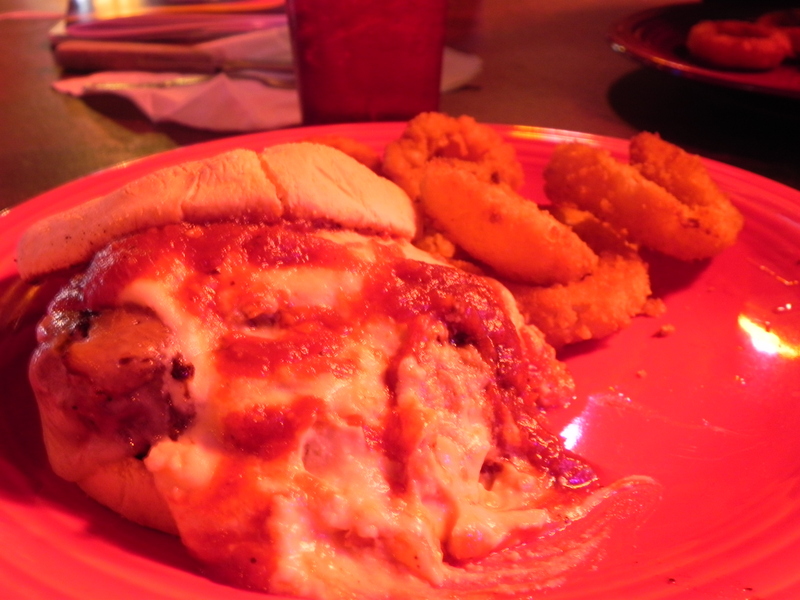 Posted on January 9, 2013 by pinkytwinkieeePosted in MissouriTagged bad commercials, bad food, burgers, food, jakes, mullets, onion rings, st louis, steaks.